Diabetes in cats over the years has become a growing concern. Diabetes in both humans and cats is the result of the pancrease not creating enough insulin, or not having any insulin to carry the sugar from the foods we eat, from our bloodstream to our cells. The cells in our bodies then use that sugar to provide us with energy. However, without the presence of insulin, the sugar stays in our and our cat's bloodstream which results in unstable blood sugar levels and medical complications. Although diabetes in cats can be fatal, it is a treatable disease, and with some dietary and lifestyle change, a diabetic cat can live a healthy life. There are several different symptoms that are associated with diabetes in cats. A diabetic cat may present one or several of these symptoms, these signs may start off subtle and later become more severe if the disease is left untreated. One of the first things your vet will want to change is what your cat is eating. Most dry foods are filled with grains, corn and other fillers that are high in carbohydrates and are sometimes blamed for the increase of diabetes in cats. As a result of carbohydrates turning into sugar into your cat's body once consumed, your vet will recommend a high protein low carbohydrate diet. 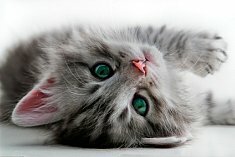 In some diabetic cats sugar levels can be contolled just by changing their diets and without the help of medication, however even if your cat requires medication for their diabetes, the change from a high carbohydrate diet to a high protein low carbohydrate one will still help to make a significant improvement in their health. A high protein low carb canned food is the best option for your diabetic cat, this type of food will provide your carnivore cat with the protein he/she craves and will help keep your cat fuller for longer, resulting in him/her eating less. As a result of a low carbohydrate diet your diabetic cat will have more controlled blood sugar levels resulting in less medical complications that are caused by diabetes. 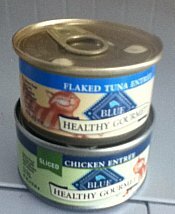 To find out more about diabetic cat food, read Diabetic Cat Food: Choosing The Right One For Your Cat. Your vet may prescribe oral hypoglycaemic drugs for your diabetic cat. This drug helps to stimulate the pancrease so that it produces the insulin needed to transport the sugar from your cat's blood to their cells. Your vet will advice you on the appropriate dosage that will be most beneficially to regulate your cat's glucose levels. Depending on how early the disease was detected and the severity of it's impact, taking insulin is one of the treatments for diabetes in cats. This will require you to administer insulin through injections, under your cat's skin around the scruff of the neck, a dosage one to two times per day. This insulin will then help to regulate your cat's glucose levels. This might sound very scary having to give your cat injections, but as a diabetic myself who thought that I could never give myself needles, after you see how it improves your cat's health and after a couple of times of administering the shots, it will, I promise, get easier. 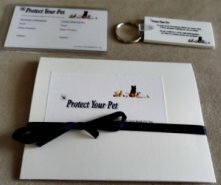 Each cat will respond differently to insulin and may require more or less to regulate their sugars, diet will play a crucial role in the amount of the dose.You will also be required to monitor your cat's sugar levels, this helps to notify you if your cat's glucose levels are too low or too high. Too low sugar levels can cause Hypoglycemia, which can be fatal. If your cat is given too high a dose of insulin or does not consume enough food then he/she will appear both weak and extremely tired. If you diabetic cat is exhibiting any of these signs contact your vet immediately or if after hours, contact your local vet emergency services, this should be taken very seriously as it can lead to a coma or death. Diabetes is one of several health problems that affect cats, to find out others read Cat Health Problems Cat Owners Should Be Aware Of. Exercise plays an important role in keeping your diabetic cat healthy and active. Exercise helps to keep your cat at an healthy weight, reduce feline obesity and even helps to regulate their glucose levels. Depending on wether your cat is overweight or has nerve danmage due to the illness, they may have to have shorter more frequent play sessions.Check with your vet to find out what he/she recommends when it comes to exercise. 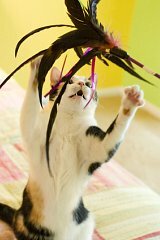 Cat toys are a great way to encourage your cat to play and exercise, to find out how to make some easy homemade cat toys read Easy To Make Safe Homemade Cat Toys. Common Elderly Cat Health Problems - Discussing several different health problems that affect senior cats and treatment options. Symptoms And Treatments Of Feline Kidney Disease - A list of different symptoms and treatments for feline kidney disease. Feline Eye Infection: Causes And Effective Treatments - Discussing different types of feline eye infections, causes and treatment options. 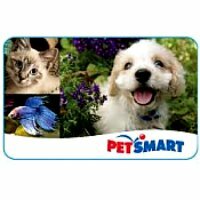 Cat Flea Treatment- Cat fleas can be both irritating and annoying to your cat, here are some effective flea treatments to get rid of those pesky fleas. Feline Weight Loss: Causes And Treatments Options - Unintentional feline weight loss is usually a sign of a unlining health problem. This article discusses the different causes and treatments available. Feline Seizure: Causes, Signs, Treatments - Feline seizures can be very scary for both you and your feline friend. This article discuss causes, important signs to be aware of and treatments. Feline Asthma: Causes, Symptoms And Treatment Options -Feline asthma is an allergic respiratory problem, the condition can range from mild to severe cases.